Congress could also propose gender-sensitive training for govt departments and armed forces. New Delhi: Benefits for newborns’ fathers, a new transgender bill in consultation with the community and making gender-sensitive training mandatory for all government bodies, including the armed forces — these are some of the key proposals the Congress is finalising as part of its manifesto exercise. According to a senior Congress leader, the manifesto is also likely to propose better implementation of the Supreme Court judgment that struck down Section 377, as well as protection of the rights of the LGBTQIA community. LGBTQIA refers to lesbian, gay, bisexual, transgender, queer or questioning, intersex, and asexual or allied people. Earlier this year, the Congress had appointed Apsara Reddy, a transgender activist and journalist, as the national general secretary of its women’s wing, the Mahila Congress. “We as a party believe that gender justice means taking everyone on board. We had appointed a number of transgender activists in key position in the organisation. The concerns of the LGBTQIA community will be reflected in our manifesto prominently,” said the leader. However, a final decision on what will finally make it to the party’s manifesto will be taken by the Congress Working Committee (CWC). The Maternity Benefit (Amendment) Act, 2017, had increased paid maternity leave from 12 weeks to 26 weeks. However, a senior Congress functionary said it had been found that a number of women were not getting hired after the benefits were revised. “It was felt that if such benefits were available to men also, the responsibilities could be shared — after all, childcare is the responsibility of both the parents. At the same time, many stakeholders also pointed out that men should also get some paternity benefits,” the functionary said. The same year, Rajeev Satav, the Congress MP from Hingoli, Maharashtra, proposed a new bill in the Lok Sabha, called the Paternity Benefit Bill, which would make all workers, including those in the unorganised and private sector, to be eligible for paternity leave of 15 days, extending up to three months. According to another functionary, the Congress is likely to promise a new transgender bill. “We will withdraw the transgender bill that is pending in Parliament and introduce a new bill that will be drafted in consultation with the community,” said a Congress leader. The current transgender bill has been criticised by members of the community, and was passed by the Lok Sabha but not by the Rajya Sabha. On 8 January, after being appointed to the Mahila Congress, Apsara Reddy had criticised the bill, saying: “The BJP government has this patronising attitude towards us. We don’t need charity, we need assistance to bridge the inequality meted out to us for far too long. The party has also proposed making gender sensitivity training mandatory for the armed forces as well as government identification-related agencies, such as RTOs, passport offices and collectorates, among others. 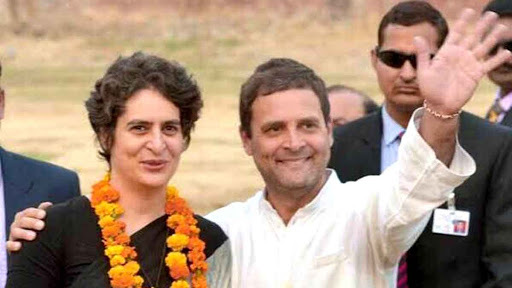 The Congress sought public participation in the process of drafting its 2019 Lok Sabha election manifesto, asking people to post suggestions on a dedicated interactive website, besides sending them through email and WhatsApp. The manifesto committee of the party has held a total of 174 consultations, of which 121 were public. A total of 31,875 website inputs have also been received, apart from 4,038 inputs received via WhatsApp.